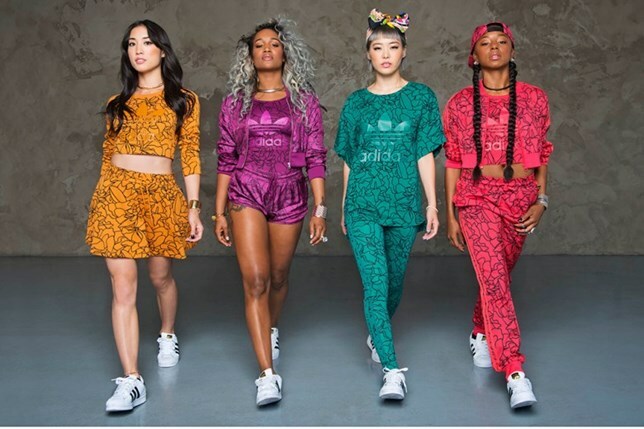 Pharrell Williams announces “The Dear Baes Collection” a new collaboration with adidas. Once again, the artist joins the adidas for a collection, “The Dear Baes” comes from his “Superstar Supercolour” collection, which reinvented the iconic model “superstar adidas” in a rainbow of 50 colors. The “Dear Baes Collection” created by the group “The Baes,” the dancers of artist Pharrell Williams, offers oversized boyfriend tees, skirts, shorts, leggings and cropped tops a sporting and entertaining line that transmits the energy of “Baes”. The collection is available in adidas Originals stores and online.